Saturday 13 April 2013 09.00. 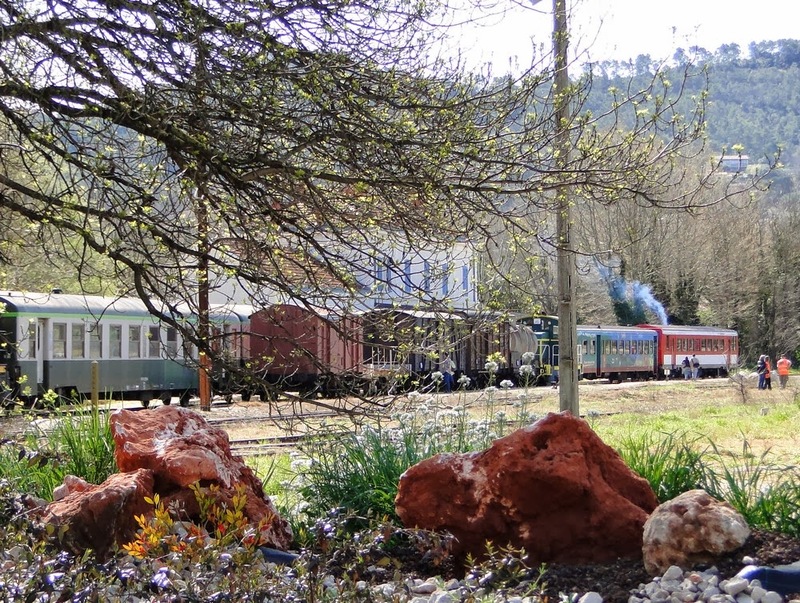 It's a sunny day with trees just getting their spring leaves. 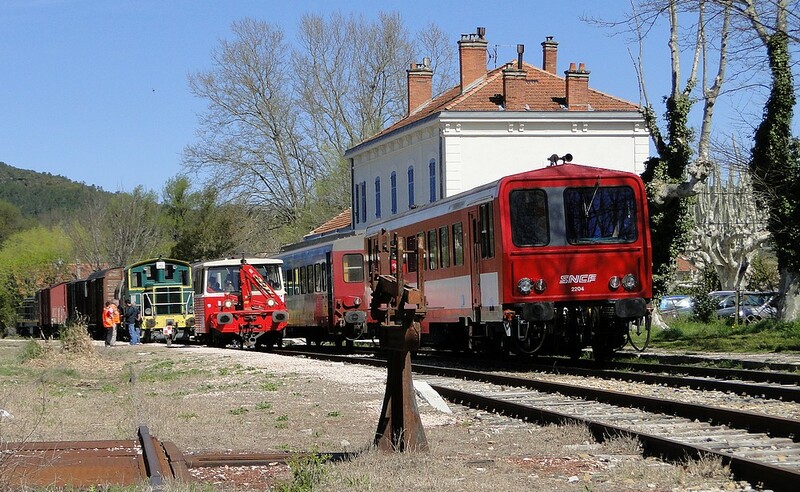 ATTCV arranges in connection with the 84th Brignoles Fair an exhibition of a part of its rail vehicle collection at Brignoles station. 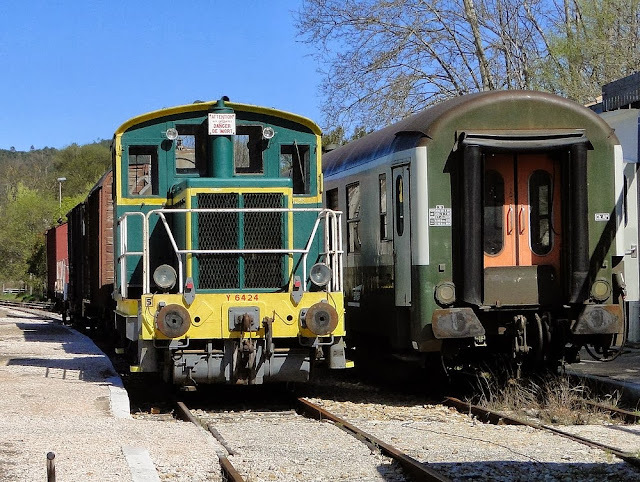 Three cascading trains from ATTCV in Besse-sur-Issole enter Brignoles station for a full day exhibition of almost a third of the association's rail vehicle collection. 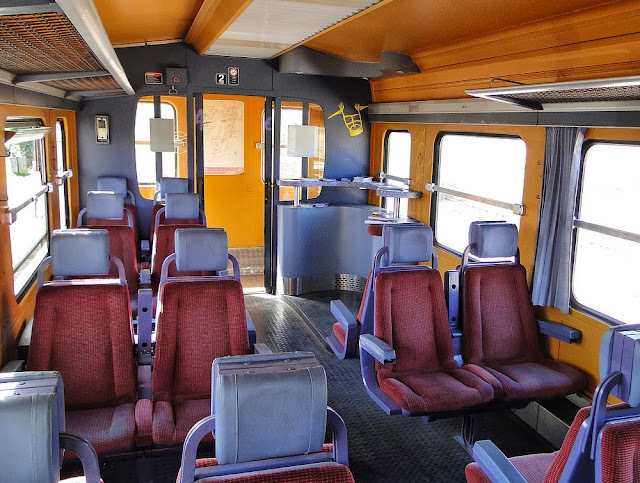 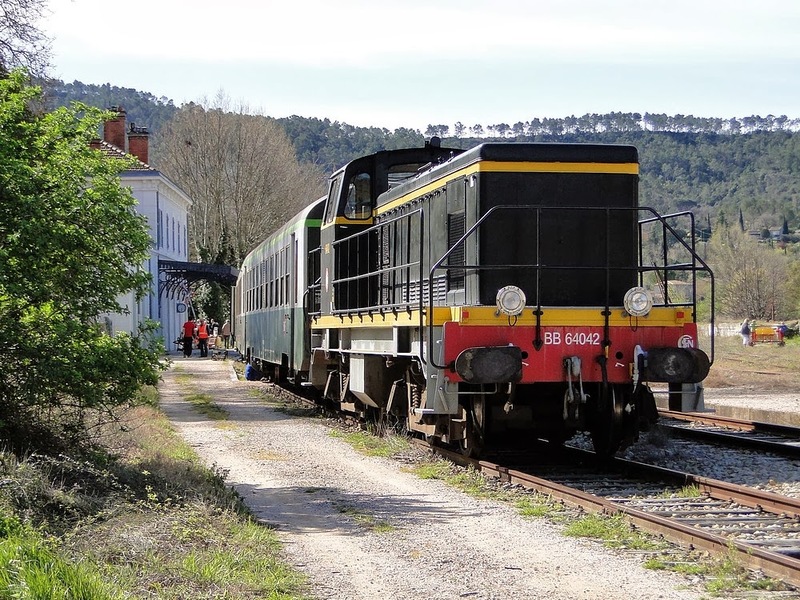 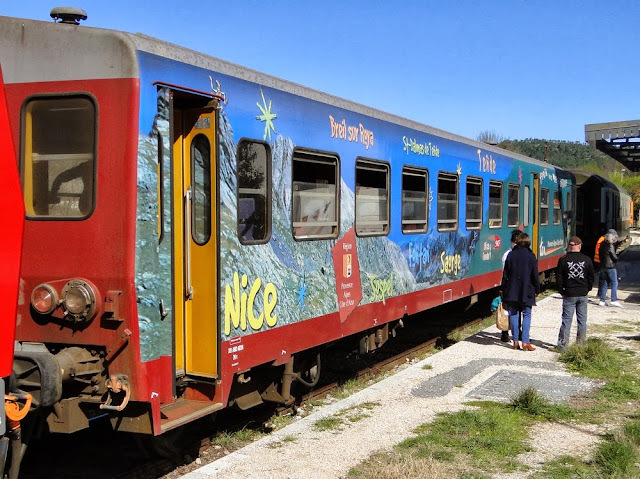 The purpose is to show interested visitors a part of its heritage rail vehicle collection and the tourist train services the association can offer. A second purpose is to have the recently refreshed railcar X-2204 (from the Nice-Tende line ("Train des Mérveilles")) officially baptized. 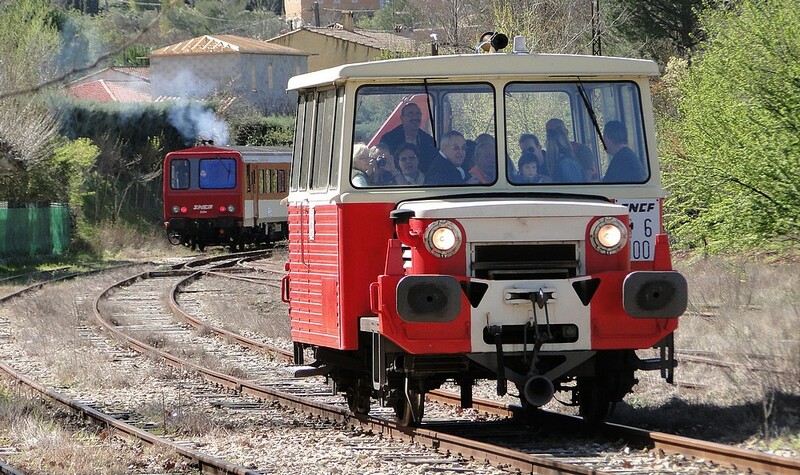 In connection with this a "teaser" is offered, a short return trip to Camps-la-Source station with either the draisine or the railcar. 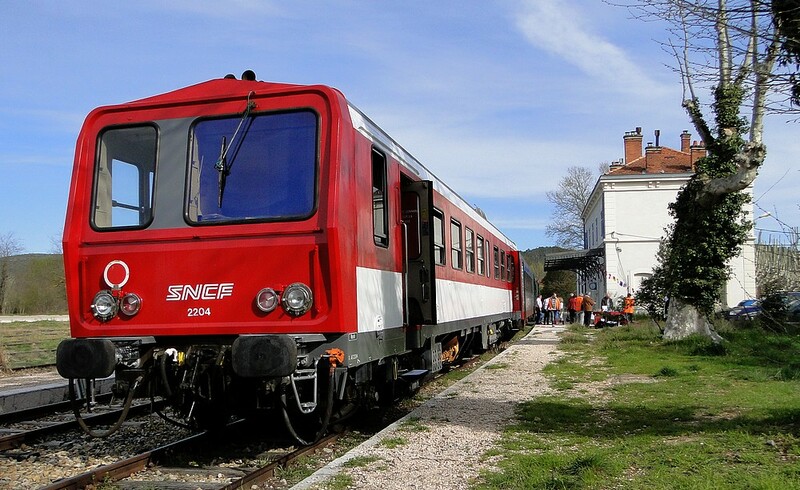 the service vehicle (draisine) DU-65 and the star of this event, X-2204, with trailer XR-6024 (serving as "service vehicle" for the ATTCV crew). 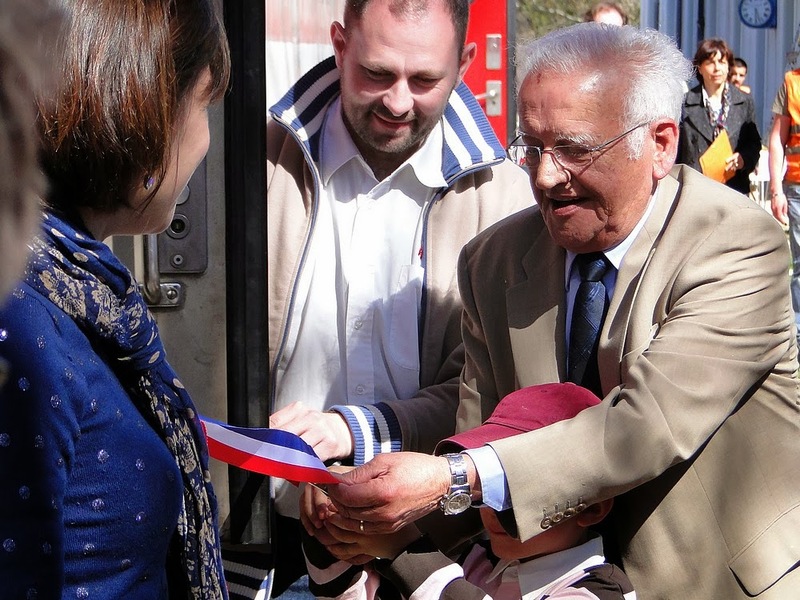 Saturday 13 April 2013 11.00. The main event during the day is the baptizing of X-2204, having very recently been beutifully restored into its original colours. 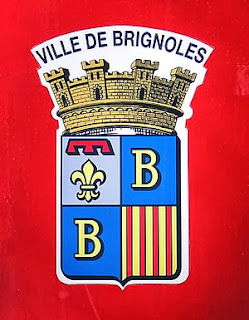 Dignitaries from the town of Brignoles under the leadership of the mayor of Brignoles and others assemble to baptize X-2204 to "Ville de Brignoles" and unveil the railcar's decoration with the coat of arms of Brignoles. The ceremony consisted of four parts, where the mayor of the town of Brignoles (1) unveiles the town's coat of arms (Ville de Brignoles) attached to the railcar (see below), (2) smashes a bottle of champagne on the railcar, (3) cuts the ribbon to the railcar's entrance, and (4) with other dignitaries takes a short inauguration trip with the railcar. 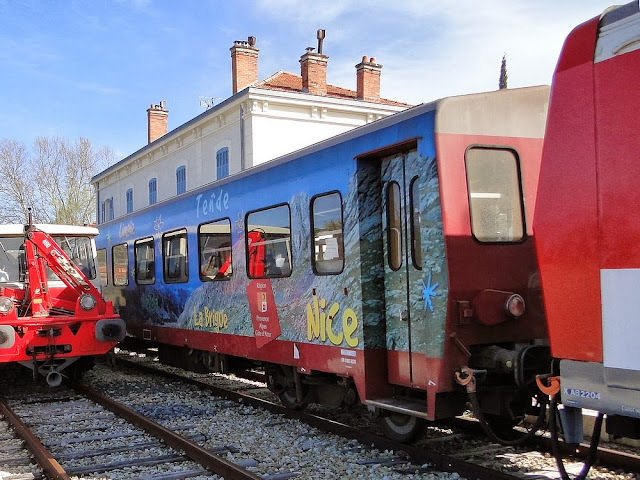 During the remainder of the day, families with or without children and other interested took the opportunity to inspect the exhibited vehicles and to make a trip to Camps-la-Source in either DU-65 or X-2204.